On Sept. 30, Lakewood School has partnered with Subway and the Community Library in Twin Lakes for a Sub-merge Yourself in Reading Event. 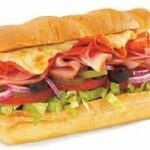 10% of all Twin Lakes Subway sales from 7 a.m. to 7 p.m. will be donated to the teachers to purchase classroom books. Customers must state they are from Lakewood at time of purchase to receive the credit. Twin Lakes Subway is located at 110 S. Lake Ave., Twin Lakes. The library, adjacent to Subway, will open its meeting room up from 4 to 6 p.m. so families can eat there and check out all the library has to offer. Posted in: Lakewood School, Uncategorized.